Beautiful two story home on 1.75 acres in Dripping Springs! Enjoy the beautiful tiered native landscape, covered front porch, and gorgeous tree coverage surrounding the property. Great open floor plan with spacious kitchen, breakfast area with lovely view, and large family room with stone fireplace. Master suite with double vanities, garden tub and separate shower, and walk-in closet. Second level features game room/ second living area and bedroom or office. the hot tub, and the beautiful deck are perfect for relaxing! 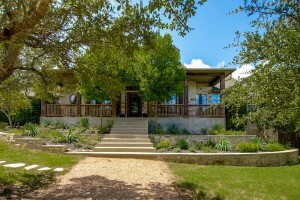 Hill country living less than 20 miles from downtown Austin!